Made from hard anodised aluminium, GrillGrates conduct heat more efficiently than cast iron or stainless steel. They act like a lens on top of any heat source by magnifying and focusing the grill’s heat and converting it to infrared heat. 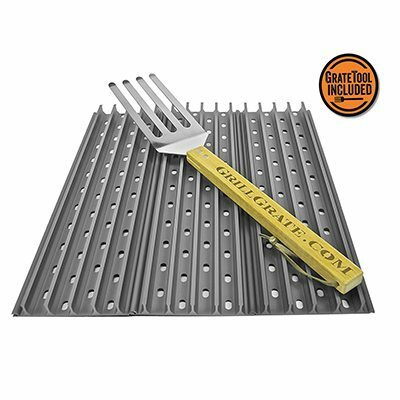 The underside and hole pattern of GrillGrates blocks flare-ups from engulfing food preventing charring and drying out and the GrillGrate valleys act as a flavour enhancing system by trapping juices and retaining moisture.